HARLEM, N.Y. — Harlem Lacrosse experienced its strongest summer on the club circuit yet thanks to another season of working with 3d Lacrosse to provide Harlem student-athletes with the best possible development and exposure path. 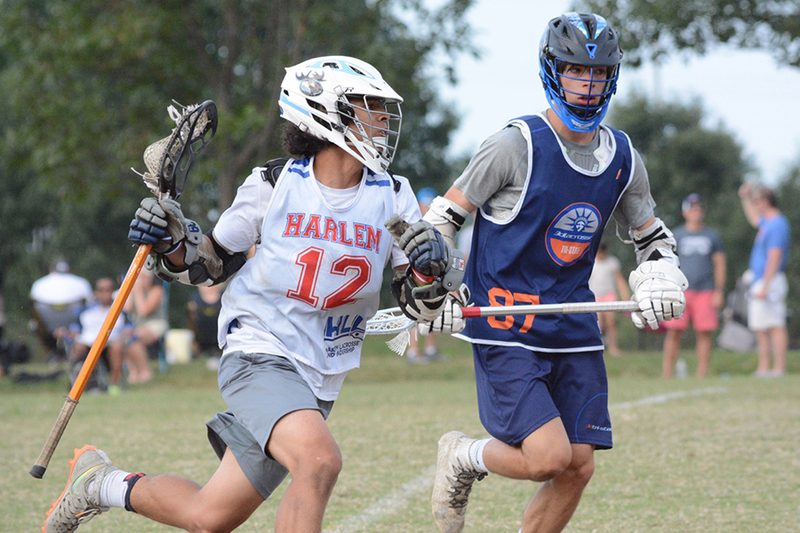 Through a partnership now in its fifth year, Harlem Lacrosse teams and athletes made their way to a variety of 3d Lacrosse-operated events and camps this summer for a dose of world-class training and the chance to compete in front of college coaches from all levels of play. It kicked off with the annual Pomfret Bash, a one-day event held at the Pomfret School featuring a mix of 3d Lacrosse teams and different clubs from the region. The event was the first chance for the Harlem teams to get full-field runs together, according to Owen Van Arsdale, a Program Director with Harlem’s New York branch. The Pomfret Bash put the Harlem teams alongside many of the 3d student-athletes they’ve been competing against on the field for several summers. That familiarity with 3d’s players and even some of 3d’s coaches has begun to have its own impact on the Harlem group. “Our guys have so much overlap with the 3d players and the staff because we’re really concentrated with the 3d group during the summer,” Van Arsdale said. That’s the idea, according to 3d Lacrosse CEO Greg Waldbaum. 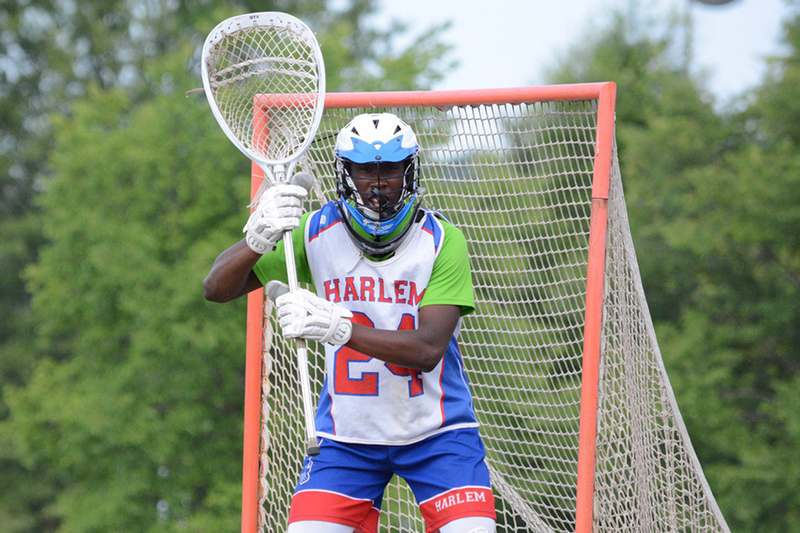 The 3d Lacrosse staff, including coaches on the East Coast and corporate staff in Colorado and beyond, has strived to create a complete experience for Harlem players each summer season, according to Waldbaum. After the Pomfret Bash, Harlem players received a full dose of the 3d Methodology at a special training session featuring 3d Tri-State coaches at the Rippowam Cisqua School in Bedford, N.Y. Led by 3d Tri-State Director Chris Doctor and Manager Bryan Reinert, the day saw Harlem and 3d players training and learning side by side. It was an important experience for both experienced and lesser-experienced Harlem athletes, according to staff members and even a Harlem alumnus who was on hand to add a new layer to the Harlem-3d relationship. Abdoulaye Kebe, a member of the very first Harlem Lacrosse class and now a sophomore at The College of Wooster, was coaching with the 3d Tri-State staff while on break for the summer. Working with 3d Tri-State and Harlem athletes during the joint practice in Bedford, he found himself reflecting on his own experience and path. He recalled the importance of exposing Harlem athletes to the 3d coaches and players to give them different perspective on the game. “I saw myself in those kids,” said Kebe, a graduate of Hebron Academy in Maine. He recalled Harlem’s early training sessions and trips to 3d Lacrosse events and how important those were then and now for the Harlem players. Another immersive experience for student-athletes, Harlem sent seven players to this year’s 3d National Team Camp, held at the Lawrenceville School from June 26 to 28. 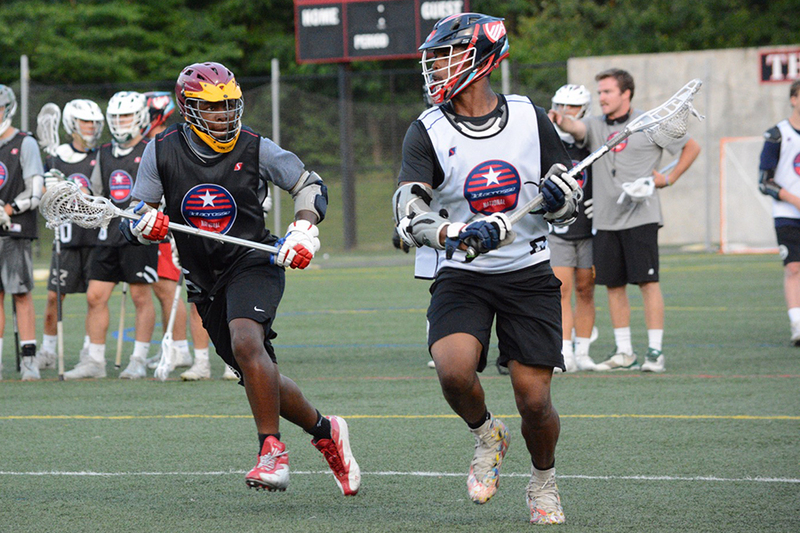 There, the Harlem players joined more than 110 of the top 3d Lacrosse players from around the country for two days of training in the 3d Methodology led by college coaches before the annual 3d NTC Play Day. “NTC is a highly leveraged event for us,” said Van Arsdale, who played Division I lacrosse at the University of Virginia. The National Team Camp experience – which includes numerous sessions led by motivational athlete Keith Wilford – allows players to become close with coaches over the course of the camp, increasing the value of the training and recruiting opportunity. 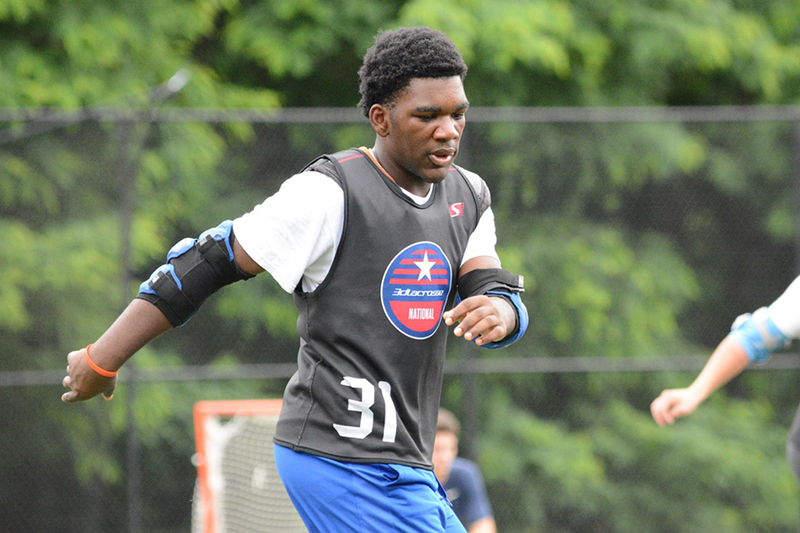 Neguens Ovincy, a Harlem defenseman in the 2020 class who attends the Virginia Episcopal School, said he received some of his most important inspiration from two 3d coaches at the National Team Camp – Drew Philie, an assistant coach at Deerfield Academy, and Andrew Kirkaldy, the head coach at Trinity Pawling School. The combination of experience at 3d’s camps and events is bringing out the best in Harlem athletes, Harlem leaders say. 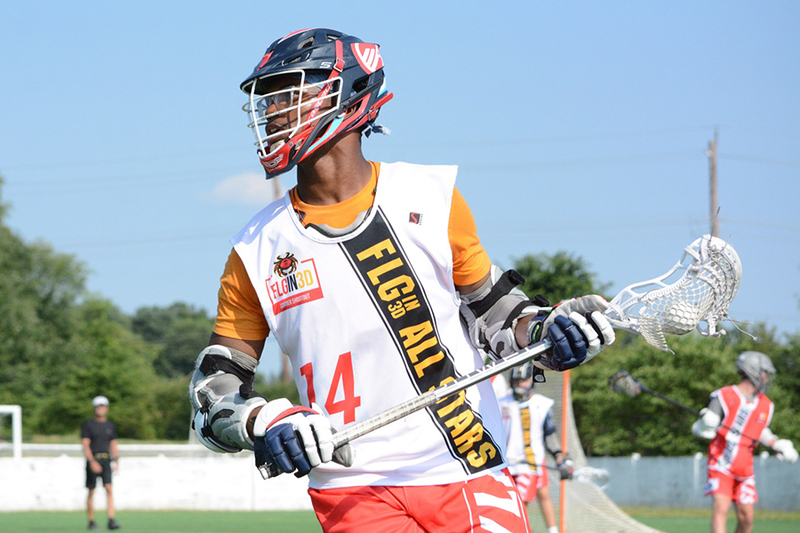 A staple of the Harlem Lacrosse experience each summer, the 2019 and 2021 teams traveled to Maryland the weekend of July 14 and 15 for one of 3d Lacrosse’s largest annual summer tournaments – the FLG in 3d Summer Shootout. There, Harlem saw at least one player selected to each of the three FLG in 3d All-Star Teams. 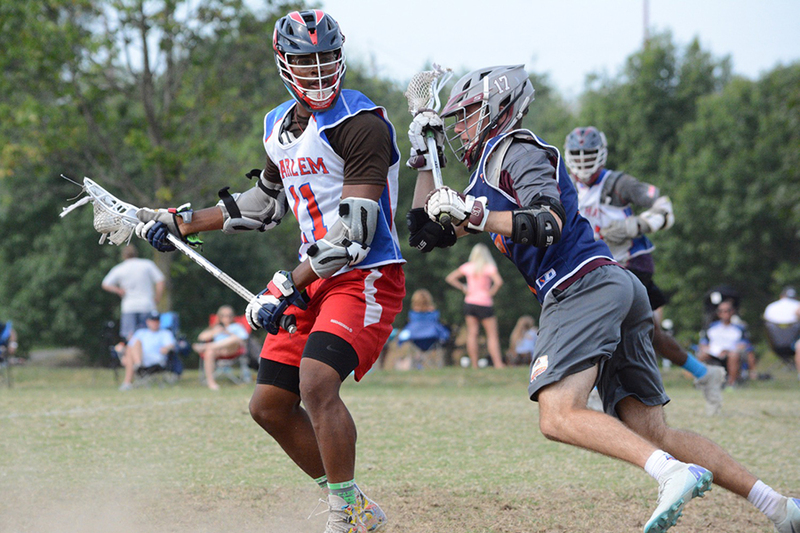 Meanwhile, the 2019 and 2021 squads finished with a combined 5-5 record after facing talented teams from New England, the Mid-Atlantic, New York, California and more. “A lot of our kids over the course of the summer season started to see the potential that they have,” Van Arsdale said. 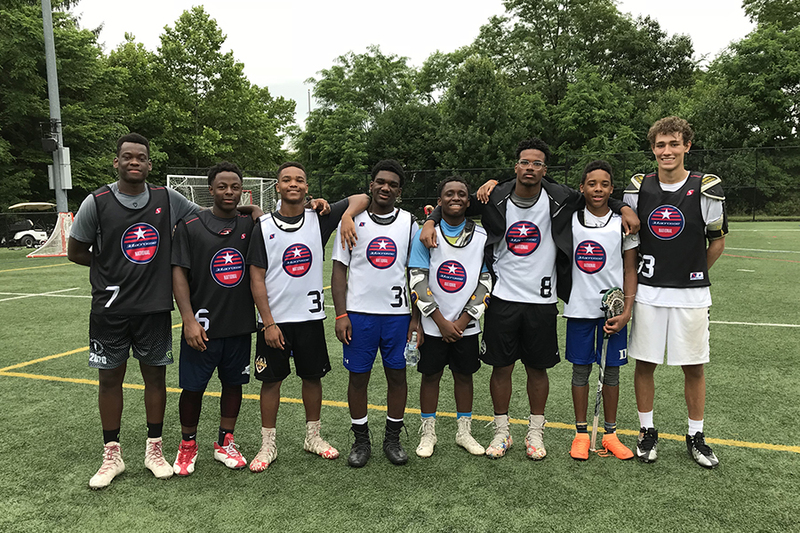 Looking back, Harlem’s Chief Program Officer Joel Censer recalled the early buy-in from 3d Lacrosse leadership that led to a successful summer of 2018. That support, he said, helped create the framework for Harlem athletes to get the most out of their summers as the opportunity to play lacrosse at the next level became more tangible. A year and a half later, Harlem began a pilot version of its own club team and it has continued to layer on top of that – fielding 2019, 2021, and 2023 boys teams and 2021 and 2023 girls teams this summer. “Club programming has been so beneficial to Harlem Lacrosse participants for a number of different reasons,” Censer said. Continuing to pave the way for Harlem as it expands its footprint throughout the country, 3d Lacrosse has resources and people in position to help the organization grow its club and training opportunities far and wide. For more information and history on Harlem Lacrosse, including the upcoming Harlem Lacrosse Annual Benefit scheduled for Sept. 27, visit harlemlacrosse.org. To learn more about 3d Lacrosse and its lineup of national and regional events, camps, showcases and select club teams, visit 3dLacrosse.com. 3d Lacrosse is the nation’s fastest-growing lacrosse services company, offering innovative training, premier events, select travel teams, showcases and leagues for boys and girls ages six through 18 at all levels of organized competition. Founded in 2009, the Company trains more than 35,000 athletes annually using its proprietary Box-Field Hybrid™ Development System that combines the tight stick-handling and ball control of box lacrosse with the team-based field strategies used in Division I college programs. In addition to lacrosse-specific training, professional coaches help players develop lifelong skills, including dedication, teamwork and critical thinking under pressure. Based in Denver, 3d Lacrosse also has offices in Annapolis, Atlanta, Boston, Dallas, Hartford, Houston, Los Angeles, New York, Portland, Rochester, San Diego, San Francisco, Tampa and Westfield, N.J. Learn more at 3dLacrosse.com.